Why Climate Change Is Controversial — or Is It? My article at ThomasNet last week generated some controversy — see “All This Wrangling Over Climate Change – What’s Up With That?” Commenters on multiple ideological sides of the debate chimed in with comments — passionate but civil, for the most part. According to the opposing narrative, communism has reformulated itself as a leftist environmental movement bent on establishing a world government and destroying free-market capitalism. Yesterday I reviewed an informative presentation by John P. Abraham, associate professor in the school of engineering of St. Thomas University in Minnesota. In his presentation, “A Scientist Replies to Christopher Monckton,” Abraham offers a point-by-point rebuttal/refutation of claims made in a presentation he attended by Christopher Monckton, in which Monckton presented arguments against anthropogenic (man-made) global warming (AGW), that is, the idea that human activity is causing an increase in global temperatures resulting in dangerous climate change. Though long (it’s a 73-minute Flash presentation with voiceover), Abraham’s critique of Monckton is well worth reviewing, especially if you’ve been wondering about the emerging criticism of AGW and the general scientific consensus on climate change. I have to say that, although I tend to agree with the consensus position in this case, just because most or even all of the experts in a certain field believe the same way, I don’t think others should be obligated to follow the crowd. And those who do accept the consensus point of view should be willing to keep their convictions on the table and to re-examine matters when new information becomes available. To say that those who question claims of climate-change are “anti-science” or to call them “deniers” (as if their challenges were somehow akin to denials of the Holocaust) is disingenuous and counter-productive. It gets people arguing about all the wrong things, instead of communicating and working on problems. In the case of the challenges to the climate-change consensus, science itself is not being called into question. The real issues have to do with things like politics, public policy, economic philosophy, and ideology. If people’s livelihoods and the well-being of their descendants are in play, isn’t it reasonable to allow them to call into question the conclusions and policy implications of those who evoke climate science as justification for their policy recommendations? 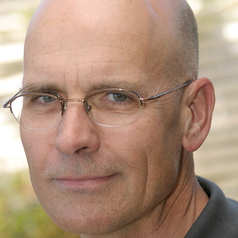 Also, it’s reasonable to point out that scientists themselves are humans with their own foibles, and while for the most part they might believe they are carrying out their work according to well-established principles and sound procedures, some of them have shown themselves to be influenced by self-interest, greed, and ideological leanings. So if their work is financed with public resources and being used to influence policy, isn’t it reasonable to expect their work – and especially their statements about its implications – to stand up to public scrutiny? If researchers and institutions are convinced that anthropogenic global warming is a real danger, then it would behoove them to find ways to present the evidence in an accessible way, rather than just sticking their noses in the air and spouting arrogant put-downs of those that raise questions. That brings me to the value of John P. Abraham’s presentation. I found Abraham’s presentation reasonable and level-headed (see one of his slides to right). He refrains from personal attacks. Abraham analyzes Monckton’s scientific references, charts, and assertions in detail. Where available, he examines the data sources for Monckton’s charts and the papers he references. He even wrote to the authors of many of the original papers to ask for clarification when needed and shows their replies in his presentation. Abraham’s presentation is really produced as a point-by-point refutation of Monckton, but along the way you learn a lot about climate change and the associated data. Pretty easy to follow, for a non-specialist reader with a fair understanding of science. Has Al Gore really overestimated the future sea-level rise by 100 times, and is it really true that sea levels are not rising? Are polar bears in the Canadian Beaufort Sea really endangered by warming temperatures or not? 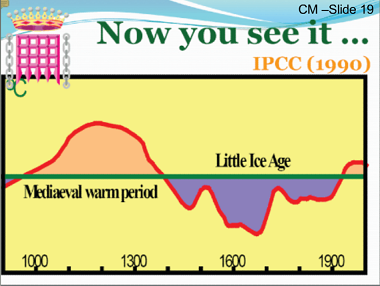 Was there a medieval warming period comparable to that taking place today, and did the IPCC “erase” that medieval warming period from its historical climate data? Do IPCC’s climate sensitivity estimates really rest on just 4 scientific papers, rather than 2,500? Have average temperatures actually been going down, contradicting IPCC projections? Is there really no evidence for any catastrophic effects of anthropogenic climate change anywhere in the world? 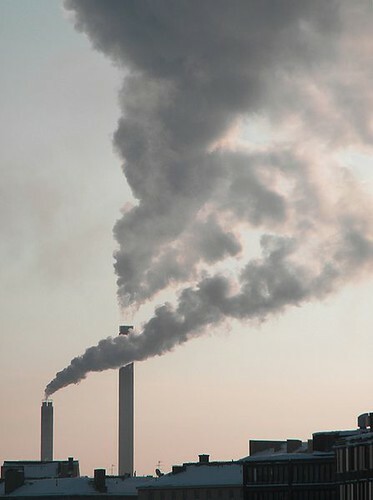 Is it really true that increase in CO2 levels is an effect of warming rather than a cause, and is it really true that CO2’s effect on global temperature is negligible? 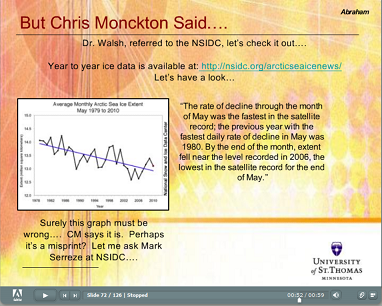 Is the extent of arctic sea ice actually remaining steady rather than declining? Has the Greenland ice sheet really been increasing rather than decreasing? Is it really true that the Himalayan glaciers have not been retreating? Is it really true that oceans are not heating up? Is it really true that global warming is caused by increased solar activity, rather than human activities? If these kinds of questions concern you, I encourage you to review Abraham’s presentation.